MF chief Christine Lagarde warned Saturday that economic stimulus from US tax cuts may lead to a rapid rise in interest rates which would weigh on countries with high debt levels, reports AFP. 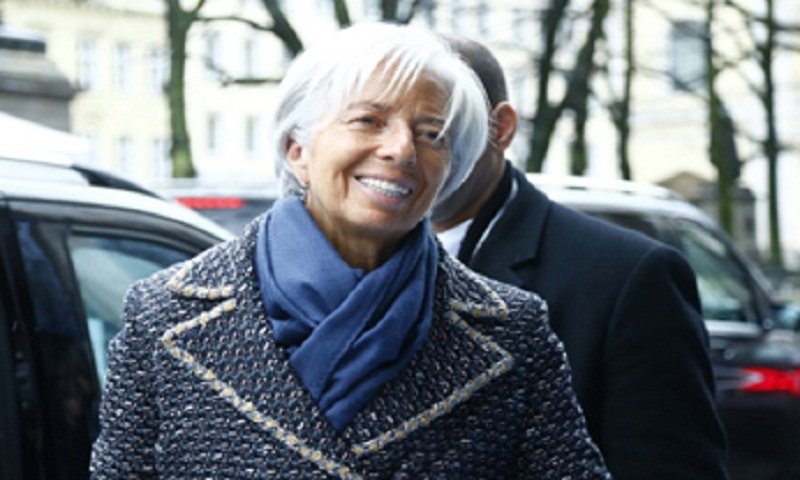 The International Monetary Fund was going to be "attentive" to the consequences of the reform, which notably includes a sharply lower corporate tax rate, she told French radio station France Inter. Lagarde's remarks echoed concerns in financial markets which have been in turmoil amid fears that rising US inflation will trigger faster Federal Reserve interest rate rises than had previously been expected. Several key stock markets lost around 10 percent last week in a brutal correction that Lagarde said in the interview had been "inevitable". She said the US tax reform "will operate like a kind of stimulus on the current economic situation" in the US which was already experiencing "strong" growth. "You have to ask yourself whether this will not result in rising wages, rising prices and therefore rising inflation and whether, consequently, there is a risk of a reaction by the monetary authorities, notably in the form of interest rates rising a little faster or a little more frequently," she said. This, in turn, would have "an impact on all of the world's economies, especially on heavily indebted economies", Lagarde said. "We believe that we must be attentive to what is going on, especially in the United States," Lagarde said. She rejected, however, any comparison with the economic situation preceding the 2008 financial crisis. "We are not at all in a pre-major crisis situation like we were in 2008," she said. The US Congress in December approved a tax reform package that will slash corporate tax to 21 percent from 35 percent. Last month, the IMF said the reform would probably have a positive short- term impact on the US economy, and raised its growth forecast for the world's biggest economy this year by 0.6 percentage points to 2.5 percent.